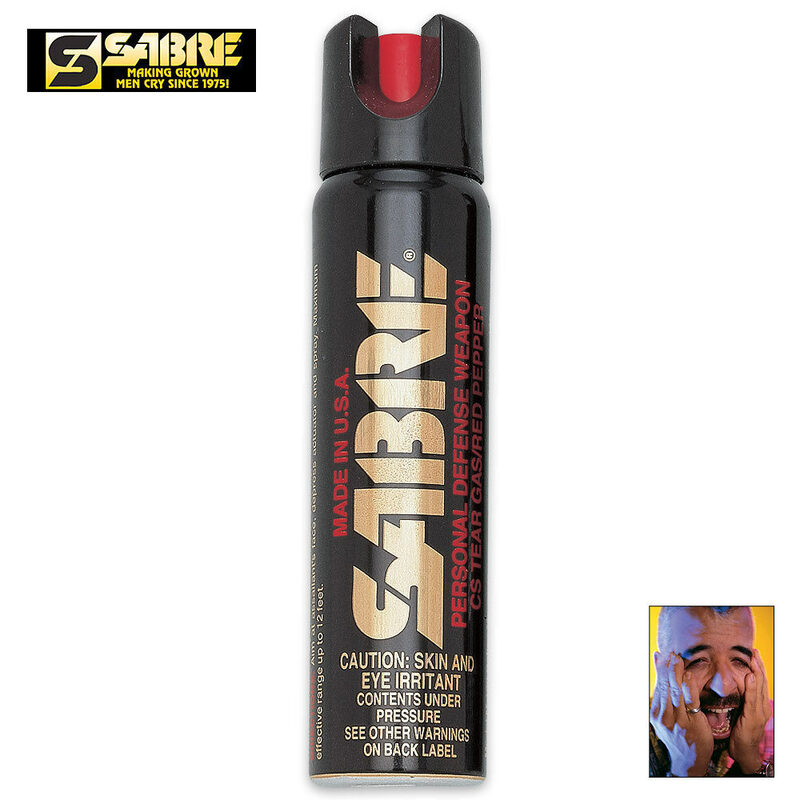 Sabre chemical defense weapons totally incapacitates one or more attackers for 10 to 15 minutes. The effects are immediate and severe creating a burning sensation in the eyes with copious tears, coughing, and difficulty breathing. The eyes close involuntarily, the nose runs, and moist skin stings. One shot causes instant panic and agony! CS Military Gas. Fast, Simple, Easy to use. No marksmanship necessary. Fires a shotgun stream rather than a pin stream. Safe to use, will not affect user. Safety collar protects against accidental misfires. 110 grams/ 4oz.